Weather Overcast throughout the day and windy starting this afternoon, continuing until tomorrow morning. Description This anchorage on the east side of the Sakonnet River offers far holding in grass and rock. 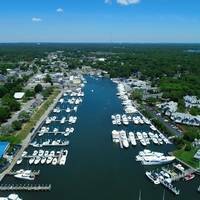 It may be hard to find space in this small harbor as there are many moorings. No reviews yet! 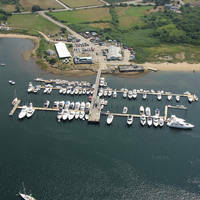 Be the first to write a review of Sakonnet Harbor Anchorage.